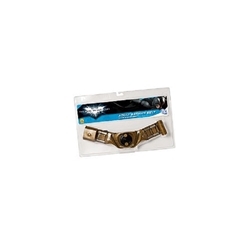 The Adult Batman Utility Belt includes one Adult Size Utility Belt as pictured, officially licensed from The Dark Knight Rises. Gear up to defend Gotham with the Adult Batman Utility Belt! This iconic piece is a great addition to any Batman Halloween costume. Check out our array of Batman accessories including Batarangs and Grappling Hooks. Become the hero we need this Halloween!